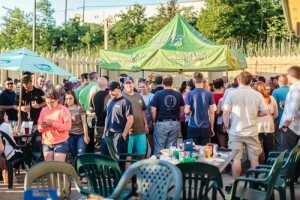 The Thirsty Turtle Sports Bar is truly your neighborhood sports bar & grill. Established in 2004 we pride ourselves on great homemade food, cold drinks and a friendly, clean atmosphere. Located half-way between Canandaigua and Rochester, on Route 96, we are just 2 miles south of Eastview Mall. With over 20 high definition televisions, there isn’t a better place to come relax and enjoy your favorite sporting events. If it’s the bar setting or dining room setting you are looking for we’re the place for you!! We offer a full menu until 10pm and a late night menu until midnight. Our head chef Drew is famous for his “Saturday Gumbo” and prepares our food with the freshest produce and ingredients available. With daily drink specials and homemade soup & sandwich specials, you can’t find a better place this side of the Genesee to come eat and drink. And as always FREE peanuts! We also offer outside catering and private parties!! 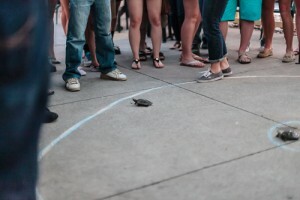 The Turtle offers a unique atmosphere which satisfies everyone’s needs. 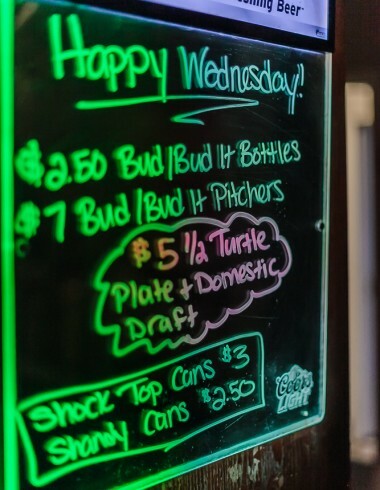 With daily food and drink specials the Turtle always has something good for a great price! Whether you’re watching the game with friends, grabbing lunch with co-workers, enjoying a drink on our patio or a dinner with the family, The Turtle has it all! Come check us out!